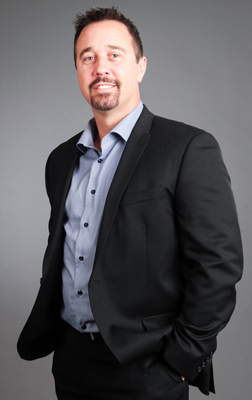 A 18-year real estate pro, Mark serves the needs of buyers and sellers in commercial and residential real estate. Known among his peers for taking amazing care of his clients, Mark has earned a reputation for being an enthusiastic problem-solver. With a commitment to expertise in his primary market, Chicagoland’s Northwest Suburbs, he supports first-time homebuyers, traditional buyers/sellers, condominium buyers/sellers, distressed home buyers/sellers and investors. Having him as your trusted partner through the very important life or business decision of buying or selling real estate makes all the difference! As a Managing Broker, real estate investor, entrepreneur and owner of commercial and residential real estate investments Mark has amassed a wealth of market knowledge… and he mobilizes it for the benefit of every client. Holding the following certifications ensures he better serves the specific needs of his clients; BPOR (Broker Price Opinion Resource), ePRO (Advanced Technology) and SFR (Short Sales & Foreclosures Resource). He is proud of his recent recognition in Chicago Magazine as a 2015 Five Star Real Estate Agent. An Algonquin resident and avid sports fan, Mark enjoys attending the competitive sporting events of their two active children. He is a motorcycle & classic car enthusiast and whenever possible will work in a round of golf or travel (or even better, both)! Are you a buyer or selling in Jefferson Park, Edison Park, Portage Park, Old Irving, Algonquin, Schaumburg, Palatine or the surrounding areas? Call Mark to learn more about his strategic real estate buying or selling plan that works! Download this great app for market stats in your area, property info on the fly and more! Request my FREE Home Valuation Report, arrives in your inbox in minutes. Bought a Single Family home in 2017 for approximately $475K in Barrington, IL. We were very fortunate to find Mark. He was an exceptional realtor and was also a friend while we searched for our dream house over the course of a year. Bought a Single Family home in 2017 for approximately $275K in Huntley, IL. Showed home in 2017 in Haegers Bend, Algonquin, IL 60102. Top-notch and very helpful in other areas - legal, etc. Great results. We found our dream house. Mark helped us with location, house style.. Great low-key demeanor ..